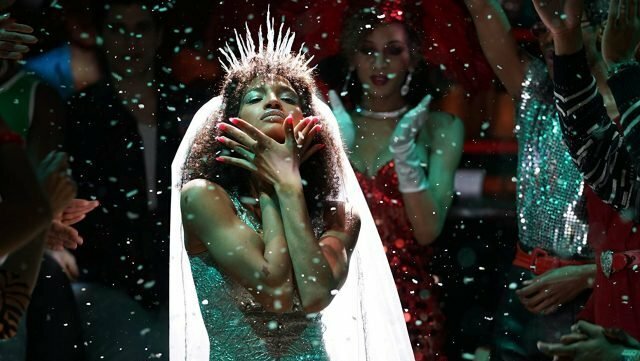 FX has officially announced the premiere date for the upcoming 10-episode second season of Ryan Murphy’s Golden Globe-nominated drama series Pose. Starring Mj Rodriguez and Dominique Jackson, the series is scheduled to return on June 9 at 9 p.m. ET/PT, exclusively on FX. Pose explores the juxtaposition of several segments of life and society in New York: the ball culture world, the rise of the luxury Trump-era universe and the downtown social and literary scene. The first season earned rave reviews from critics who praised the combination of style, energy, exhilarating drama and performances from its cast and garnered solid ratings for a cable series, averaging about 600,000 viewers per episode. After an extensive nationwide search helmed by award-winning casting director Alexa Fogel (Atlanta), Ryan Murphy and his collaborators made television history by assembling the largest cast of transgender actors in series regular roles ever for a scripted series, as well as the largest recurring cast of LGBTQ actors ever for a scripted series. The transgender cast includes Mj Rodriguez as Blanca Rodriguez, Dominique Jackson as Elektra, Indya Moore as Angel, Hailie Sahar and Angelica Ross. Also co-starring are Tony Award winner Billy Porter as Pray Tell, Charlayne Woodard as well as newcomers Ryan Jamaal Swain as Damon Richards and Dyllon Burnside. Pose was co-created by Ryan Murphy, Brad Falchuk and Steven Canals, with Murphy directing the first two episodes. The series is executive produced by Murphy, Falchuk, Nina Jacobson, Brad Simpson, Alexis Martin Woodall and Sherry Marsh. Canals is a co-executive producer, and Janet Mock, Our Lady J, and Erica Kay also serve as producers. The post Pose Season Two Premiere Date Set for June appeared first on ComingSoon.net.